In the last 10 years, 13 deaths related to swallowed batteries have been reported, 12 of which were due to disc batteries (20 millimeter lithium cells). The danger is that when a disc battery is inserted into a nose (for example), a localized electric current is created between the positive and negative poles of the battery within the nose. This electric current basically "electrocutes" the lining inside the nose leading to tissue damage and ultimately necrosis (tissue death) within an hour. 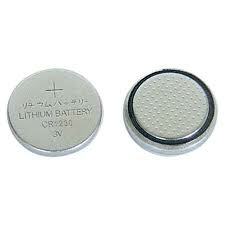 The same applies even if the battery is swallowed or put into the ear canal. 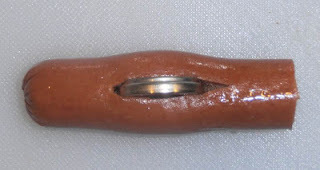 When swallowed, it can burn through the esophageal/intestinal lining causing a perforation which can lead to death if not promptly treated (or even in spite of it if too much time passes before treatment). 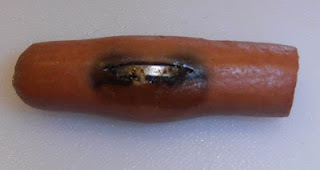 For illustrative purposes, lets see what happens to a hot dog when a lithium disc battery is placed inside it. This example was created by Dr. Stephen Marcus who is the director of the New Jersey Poison Information Center and published in the Pediatrics Blog here. You can also do this at home... give it a try (make a slit in the hot dog and push a lithium button battery into it... than watch). Keep disc batteries away from kids!! !